There is no doubt that archery has been an integral part of our social and cultural life since the time immemorial. For centuries, it has significantly contributed to the development of social, communication and interpersonal skills that have united the people from all social strata regardless of who they are. Besides, it has also served as the most important weapon during conflicts and wars especially during the theocratic rule between 1616 and 1907. Probably because of such a special historical and cultural significance attached to it, the game was declared as our national sport in 1971, the year in which Bhutan became a member of the United Nations. Since then, it has gained special attention even from the outside world. Today, the archery competitions and tournaments still form an important part of major celebrations such as religious festivals and public holidays. However due to the new innovative ideas that have emerged along with rapid globalization, the traditional bows and arrows that are made of bamboos and reeds are slowly getting replaced by imported modern equipment such as compound bows and arrows that are more sophisticated and powerful than the traditional ones. As a result, the safety at the archery ground is becoming a bigger concern over the recent years. It is very sad that the news of people being hit by arrows during the archery tournaments and friendly competitions emerges every now and then, yet the concerned authorities do not seem to take any concrete measure to prevent it from happening again. 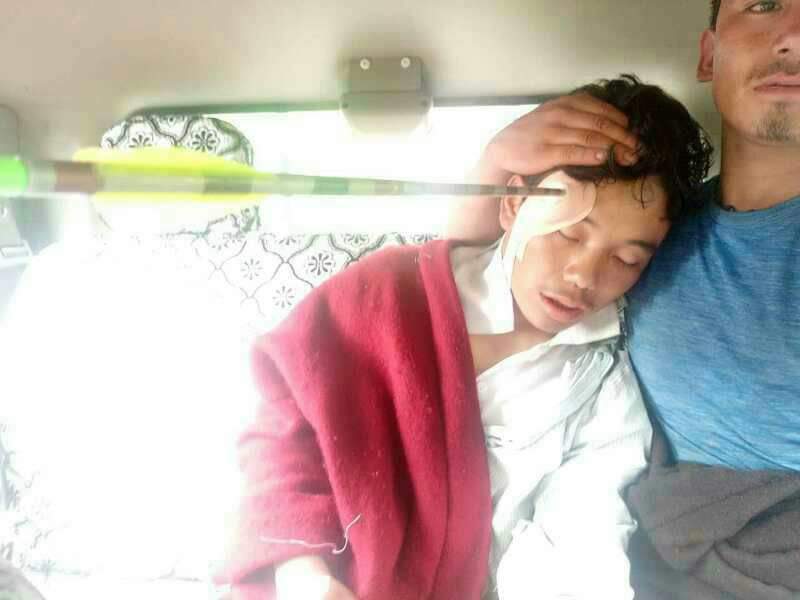 Just recently, there was a story trending on Facebook about how a young man in Trashigang was critically injured by an arrow shot from a compound bow and that he is being currently treated at a hospital in Guhati, India. Unfortunately, this is not an isolated case. There are many people who have been critically injured or even fatally shot on the archery grounds. In 2010, the incident in which a parliamentarian was hit and critically injured by an arrow had sparked an interesting public debate on the need to have the standard safety measures in place to make our national sport as safe as any other sport, but sadly, it could not produce any concrete result at the national level. Without some stringent rules and regulations in place, incidents like this will continue to happen. The first and foremost step we must take is to ban the use of alcohol during the tournaments. The real charm of the game lies in how one can distract the opponents by dancing and cursing in front of their target and making them nervous so that they would not get the right shot. But when alcohol comes in between, the game puts its players, spectators and passersby at risk. Even the means to cause distractions for the opponents should be revisited. Instead of jumping and dancing right in front of the opponents’ target which openly exposes them to danger, there should be alternative ways of causing distractions such as yelling or shouting from the sidelines. Considering the rising cases of injuries and fatalities on the archery grounds, it’s high time that the concerned authorities such as the Archery Federation and Bhutan Olympic Committee start looking into how to make the national sport more enjoyable and safe at the same time. Until and unless we have stringent rules and regulations to guide the sport, it would continue to pose danger to archers, spectators and even passersby. Let all the unfortunate incidents that have happened so far be a thing of the past. Let us hope that our national sport continues to glorify our culture without undermining the safety of anyone of us.